What a week. I have to say my kids are troopers. I haven't been feeling well at all. I had two allergic reactions last week and I do not know why. But I was pretty sick two of the evenings. I was very grateful for the "easy" fix meals that I bought. The kids each picked out what I considered "junk" food and unhealthy options, but something they could fix themselves to eat. They were each able to fix themselves dinner with minimal help from me. On top of the reactions and not feeling well due to each one of them. I have also been feeling like I am walking in an autism fog lately. We keep going what seems like forward but we are really turning in circles. I have been working on retention when it comes to skills such as math. Joey just struggles so much in this area. Reading a calendar and telling time are an issue for him. Brayden remembers his math, but doesn't read as well as he should. I blame myself for that since I allowed him to be taught to read by memorization....boy do I regret that now. The autism fog though is one of those things where I am trying to avoid feeling sorry for myself and what the kids may never be. I know...I know....start screaming at me now. You cannot cry over that. The Autism Society screams that your child can be that and more! Well....don't let those ads fool you. Not every child with autism is the same, and no matter what I do, my boys will not be doing what I had dreams of in the future. They will always have limitations, and the limitations are projecting more than I originally anticipated. So instead of keeping those med school applications out, we are going to work with the limitations we have and make them work for the boys. Anyways.....amidst all of the drama of health issues, we had school. We pretty much completed all planned school items....YEAH!! Although I didn't get that many pictures ... these were a few things. In Science, Caty has been using the Magic School Bus Nature Box. So we are learning all kinds of new things about insects. Lydia and Caty found a large amount of Whoolly Bear worms in the back yard and so I said she could set up a habitat to watch them. She was sooo excited! I have to admit that is has been super fun watching them eat and crawl around. But they are going to be released this week yet. We want to make sure that they still have a chance to freeze and be the tiger moths they were meant to be. Joey and Lydia started playing Words with Friends with Joe and I. Joey is really good at this game. I was shocked. Lydia is still learning, but she is doing fairly well. Caty and I are working hard in an area she is struggling with....remembering capital and lowercase letters. Not sure why this is an issue, but we are going to work hard to help her. The caterpillars have been a HUGE hit with Caty. They even watched TV with us a few times. Lydia working away on her Homeschool with Minecraft Johnny Appleseed class. The kids are doing bowling with our county Special Olympics. But we decided to sneak in some practice. Joey was getting frustrated from all the noise there is on those nights. So we snuck away and went bowling one morning. The place was basically empty. An older gentleman asked why they weren't in school. Caty looked at him and said, "I'm homeschooled. I'm exercising now and then I am going to do my schoolwork when I get home." They were nice. They let us know that they bowl every Wednesday morning and we were welcome to bowl next to them anytime. We learned fun facts about pumpkins and pumpkin seeds. We also processed a good 20 pounds of pumpkins. I spent all day Thursday baking pumpkins, pureeing and freezing. I also froze probably 6-7 pounds of raw pumpkin cut into chunks. Joey didn't process any of the pumpkins, but he still learned some facts about pumpkins. We got the another Goldie Blox set. Caty has been begging for the dunk tank set. I haven't gotten to play with her a lot with this new one. 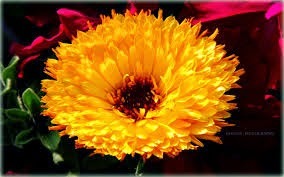 She LOVES these! We had some essay items that didn't get done this week, so I put them on the next schedule. It was mainly his Dr. Who History class. Joey is struggling so much with essays that the thought of working on them cause anxiety issues, even with me typing them up for him. But we did watch a cool documentary about Charles Dickens. Wow!! I learned a lot about him. We had a good week....and hope that we have a little better week this week. As long as there's lots of cooking and a little bit of fun, we should be ok! Writing is something that I just do not feel I am good at. I understand I am not perfect, but this also worries me when I am teaching the children. I knew I needed a good stepping stone to work with Lydia on her writing skills. After all, this is a subject that she loves. So I was very excited to get the opportunity to get to review Fix It! Grammar: The Nose Tree from Institute for Excellence in Writing. Fix It! Grammar: The Nose Tree is written for beginning level Grammar instruction. So it worked out perfect for Lydia who has been learning the various aspects of Grammar, but had not yet started digging deeper into structure. Grammar though is not a subject that you love to sit down to for a long time. And with Lydia's short attention span we needed something that was short and to the point. Fix It! Grammar: The Nose Tree is just that. It's straight to the point and requires usually under 15 minutes daily. In fact the lessons are sometimes so short, that I have been known to combine two days and she doesn't realize it. Especially if we are on a roll. One week she was doing so well with a topic that we whipped through the entire section and she caught onto the topic in no time at all. We were given the opportunity to review theFix It! 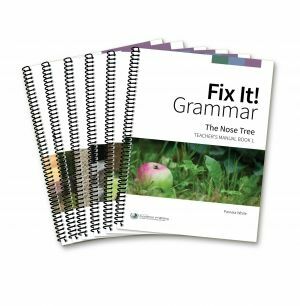 Grammar: The Nose Tree Teachers Manual ($19.00) and Fix It! Grammar: The Nose Tree Student Workbook ($15.00). The Fix It! Grammar: The Nose Tree Teachers Manual was super easy use. It starts out with a simple explanation as to how to use the program effectively. Then each week is broken down into themes. 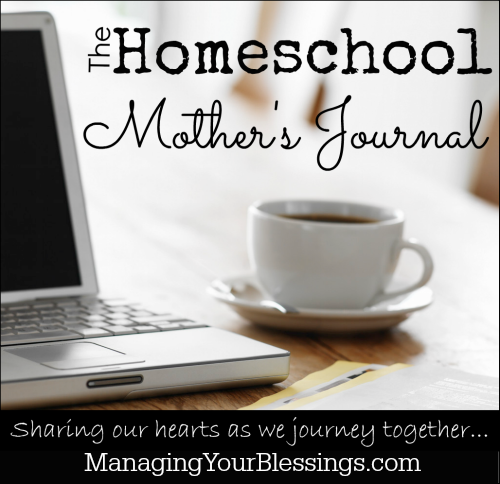 Each week is broken down into daily tasks and lessons to present on the topic. The Teachers Manual contains the same pages as the student workbook, but you have the answers and explanations to give the kids. There are also suggestions if a student is catching onto a topic really well, how to give them more of a challenge. This I liked, especially the week we were able to cover the material so quickly. I was given ideas how to keep her advancing in this area, without feeling overwhelmed. This was something I LOVED about Fix It! Grammar: The Nose Tree curriculum. It did not contain a too much wording on each page. It was simple and not distracting. Lydia did not feel overwhelmed when she sat down to work on grammar. She was not exhausted at a huge lesson. When we were done, she still had the ability to get on her laptop and put into action the things we were learning in her story writing. This means a lot. Some products takes so much mental energy from her that she just doesn't function well enough to do what she loves, which is writing. I really liked that vocabulary is included with each weekly lesson. I was even challenged on a few of these words. It was a great addition and I was able to get another task done. The handwriting was really limited, and did not take a lot of effort. The part that was writing, I was easily able to adapt to Lydia for typing work when her hands were too shaky for handwriting. Fix It! Grammar: The Nose Tree from Institute for Excellence in Writing has been a true blessing to our homeschool. I am able to easily plan Lydia's grammar. The prep work for me is about 2 minutes worth of reading. I like that it is so easy to use. And not only easy to use and even with the simpler style, very thorough for learning grammar usage. I also can easily adapt it to Lydia's unique needs at that time. If she is struggling with a concept, we simply spend a few more days on it and then move one when she is ready. She is excited that she is "editing" a story just like an author would be and she can't wait until we are done and the story is all written out (she is typing it into a file on her computer to practice her typing skills). Fix It! Grammar: The Nose Tree is written for roughly Grade 3 through Grade 5 depending on your student's level. I normally am not a fan of purchasing Teacher manuals when buying curriculum because of the added cost. But I found the Fix It! Grammar: The Nose Tree Teachers Manual really worth the cost. The entire program for both the Teachers Manual and the Student textbook is priced reasonably. It is working so well for Lydia, that we will continue using it and I am looking to purchase the next level so that we have it when she has finished this one. If you are not sure how and where to place your student. Institute for Excellence in Writing has a placement test available for your student to try out. There is also a Webinar available for you to check out and see how to use the Fix It! Grammar program. What a week!!! Some days I really pray for things to be boring. Mondays are a little crazy because of Minecraft classes online. We also have Lydia's horseriding in the evening. We made it through classes, all meals were done, and we even survived horseriding with minimal issues. It was really a long day though. But as soon as we got home, Joey was looking forward to the promised episode of Dr. Who for his history class this week. We got some exciting stuff in the mail....our quail eggs we are trying to hatch. Caty got her first Little Passports package. With lots of help, Caty made dinner. It was our Japanese theme dinner....we re-created Chicken Big bowl without the soy sauce. The noodles we picked out were awful, but the sauce we made was good. At horseback, Caty and I worked on origami while watching Lydia. We watched a video that showed some Japanese restaurants doing this before dinner while waiting on food. So we thought, hey we are waiting now, let's do some origami. She thought her butterfly was going to fly. By Tuesday of this week, I really didn't think that this week was going to end. Poor Joey was suffering some massive mood swings. This was just a purely frustrating week ruled by Autism and Mood Disorders. I felt like I was walking on eggshells because I never knew what was going to set him off. Even Caty was just in the trying to keep Joey happy mind frame. Some days were worse than others. We did go and see the new movie, Dolphin Tale 2. The kids absolutely loved it. We met another homeschool family and minus some elderly in the audience....the theater was empty. My favorite way to see a movie!!! Joey didn't get a ton of academic work done, but we did try to sneak as much in as I possibly could. We watched a lot of science shows and historical shows also. He did learn about Queen Victoria for his Traveling through Time with Dr. Who class. But essays were not able to be tackled, even with help from mom. He did manage to finish his self-portrait while we were watching a movie called Young Victoria. This was actually too stressful for him this week. He had a good time bowling. Lydia worked hard on reinforcing homophones this week. I think she surprised herself knowing the answers. Another Japanese food project, Mochi sweet rice cakes. Caty enjoyed learning about Japan. Caty is doing well on addition, so we started subtraction. I let her have a little fun with candy this week. She also learned about Ants and bees this week in science. In art, we learned about Paul Klee. This is her inside out watermelon. This is re-created his work of Cat and Bird. Using thick and thin lines, and crayons with markers. Lydia spent the week learning about sea turtles. She wanted to make a model. She made her own model magic and then started creating while watching the movie on sea turtles called Incredible Journey. We also picked pumpkins this week. In a calm moment, playing a game with Caty. Didn't you know that office chairs are more comfortable like this? Teaching Caty how to make apple crisp. Learning about bees. We have so many around our house right now that she was able to find some dead ones to examine. Even Brayden got into it. And of course, there was dance class. We finished off the week playing mini-golf with daddy. It was a rough week. We did get a lot of stuff done though, so I am grateful for that. Every time I try to make life less crazy, the opposite happens. But if we work together, everything will keep running. I think the favorites this week was going to see Dolphin Tale 2 (which I highly recommend) and of course playing golf with daddy. They missed him this week.